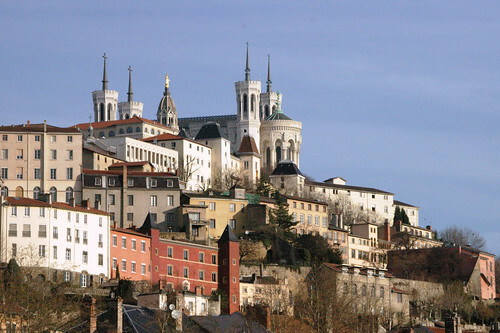 Lyon is a city in France somewhere between the major cities of Paris and Marseille. The city is a UNESCO World Heritage Site because of its major landmarks and is also known as a gastronomic capital of France. It is the home of cinematography which was developed there by the Lumiere brothers. The city is also home to the Festival of Lights. For those who like sport there is French Ligue 1 football in the Olympique Lyonnais club. Some of the best sights in Lyon include the Pont Bonaparte, Pont Lafayette, Place Bellecour, Basilique de Notre Dame de Fourviere, Tour Metal, Saint Francis of Sales, Opera Nouvel, trompe d’oeil, African Museum of Lyon, and the Museum of Resistance and Deportation. As a capital of gastronomy some important cuisine to the city includes the wine region. The Beaujolais and Cotes Du Rhone are important wines from the region. Charcuterie, saucisson de Lyon, coq au vin, gras double, marrons glaces, coussin de Lyon, and sabodet are some of the most famous dishes. Some places to try the Lyonnais cuisine include the Archange, le Danton, Le Musee, and Glacier Terre Adelice.